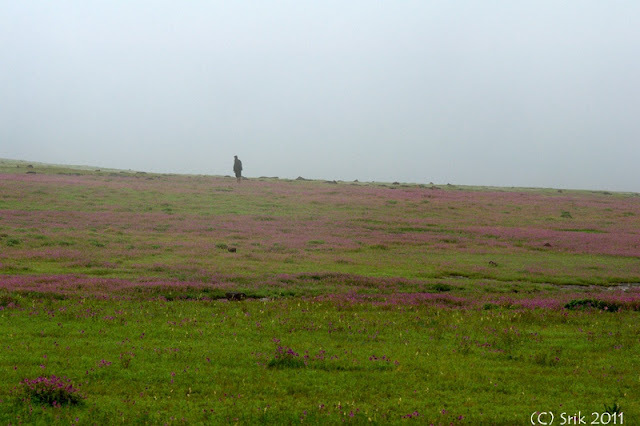 Lonely tree welcoming us to the kaas plateau. 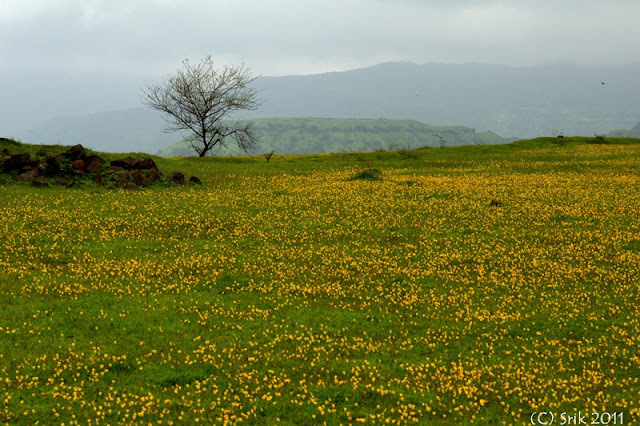 Yellow carpets of smithia giving a grand look to the lonely tree. A forest guard carefully watches to ensure the flowers are not dis-respected. 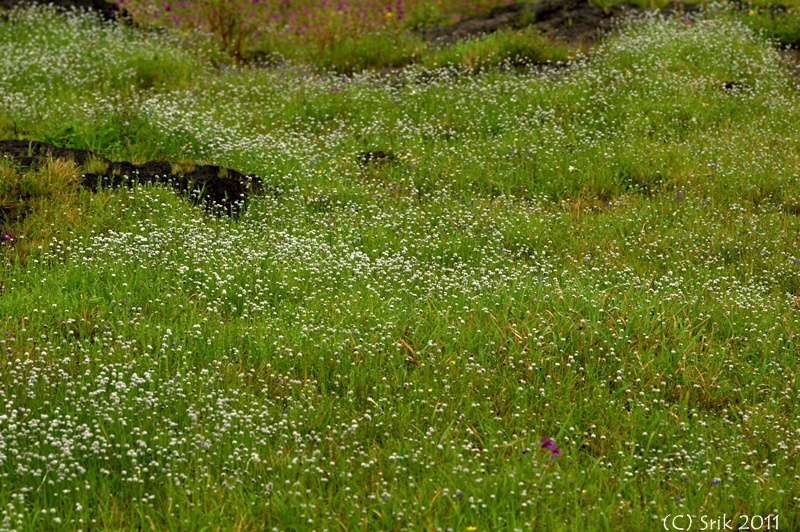 Many varieties of flowers seen at the plateau. Blooming together smiling together. A time comes when all these carvia plants will be in bloom. Guess once in 7 or 9 years. Gorgeous looking trees, a small pond amidst the impatiens flowers makes it a spectacular sight. Tiny water stream at the plateau cuts through the pink carpets. Sahyadri slopes overlooking the Urmodi dam. The Urmodi Dam reservoir with the Sahyadri slopes make the landscape appear like someone trasplanted the scene from Newzealand. The carpet of flowers are wonderful. It is sad to see a person keeping watch over the carpets. In a culture that claims to be environmentally sensitive, do we need to have such people? It would be nice if we took care of our environment ourselves. We should leave the culture of dominance to other people. @Narasim: Thank you very much. @Kiran: thanks so much. and, what a dialogue? :P Lets plan a trek soon! Superb pics! May be you can add a few lines describing the place. Where exactly is it?